After 2 weeks of locally felt earthquakes, steam explosions announced volcanic unrest at Mount Pinatubo on April 2, 1991. The unrest culminated 10 weeks later in the world's largest eruption in more than half a century. Volcanologists of the Philippine Institute of Volcanology and Seismology were joined in late April by colleagues from the U.S. Geological Survey. Together they successfully forecast the eruptive events and their effects, enabling Philippine civil leaders to organize massive evacuations that saved thousands of lives. The forecasts also led to the evacuation of Clark Air Base (U.S. Air Force), which is located just east of the volcano. Nevertheless, the climactic eruption, coincident with a typhoon on June 15, caused 200 to 300 deaths and extensive property damage, owing to an extraordinarily broad distribution of heavy, wet tephra-fall deposits. The volcanic unrest and eruptions, which involved intrusion of basaltic magma into a reservoir of crystal-rich, vapor-saturated dacitic magma, evolved in stages: mid-March through May--felt earthquakes in March, phreatic explosions on April 2, and persistence of numerous volcano-tectonic earthquakes; June 1-7--localization of shallow earthquakes in a narrow pipelike zone near the volcano's summit; June 7-12--lava-dome growth, accompanied by increasing ash emission and seismic-energy release, including significant episodes of volcanic tremor; June 12-14--a series of four brief vertical eruptions accompanied by a profound buildup of long-period earthquakes; June 14-15--thirteen brief surge-producing eruptions that became progressively more closely spaced; June 15--the climactic eruption, which lasted approximately 9 hours and included collapse of the volcano's summit to produce a 2.5-kilometer-diameter caldera; June 15-middle or late July--decline and termination of continuous emission of a tephra plume from vents within the caldera and steady decline of volcano-tectonic earthquakes that began during the climactic eruption (intermittent small ash eruptions continued until early September); and July-October 1992--extrusion of a lava dome within the caldera. Runoff from monsoon and typhoon rains is eroding and redistributing the voluminous pyroclastic deposits emplaced during the eruption. Sedimentation from the resulting lahars continues to bury communities and valuable agricultural land over large areas in the lowlands surrounding the volcano. Mount Pinatubo is one of a chain of composite volcanoes (fig. 1) that constitute the Luzon volcanic arc. The arc parallels the west coast of Luzon and reflects eastward-dipping subduction along the Manila trench to the west (Defant and others, 1989). Mount Pinatubo is among the highest peaks in west-central Luzon. Its former summit (fig. 2), at 1,745 m elevation, may have been the crest of a lava dome that formed about 500 years ago during the most recent previous major eruptive episode (Newhall and others, this volume). The volcano's lower flanks, intricately dissected and densely sheathed in tropical vegetation prior to the 1991 eruptions (fig. 3), were composed largely of pyroclastic deposits from voluminous, explosive prehistoric eruptions. Figure 1. The location of Mount Pinatubo, within the Luzon volcanic arc. Figure 4. Mount Pinatubo, its major drainages, and geographic features referred to in text. Before the eruption, more than 30,000 people lived in small villages on the volcano's flanks. A much larger population--about 500,000--continues to live in cities and villages on broad, gently sloping alluvial fans surrounding the volcano. Clark Air Base lies to the east of the volcano, within 25 km of the summit, and Subic Bay Naval Station is about 40 km to the southwest (fig. 4). This report provides a broad view of the eruptive activity as a context for the many topical papers that follow. It draws extensively on a summary report by the Pinatubo Volcano Observatory Team (1991) and on an account of the events by Wolfe (1992); no additional citations are given for those two reports. A detailed chronology of eruptive events during June 1991 is given in table 1 of Hoblitt, Wolfe, and others (this volume), and Harlow and others (this volume) review the seismic chronology. The initial stage, from mid-March through May, was characterized by felt earthquakes beginning on March 15, phreatic explosions on April 2, continuing emission of steam and minor ash, essentially constant rate of seismic-energy release dominated by persistent occurrence of volcano-tectonic earthquakes, and generally increasing emission of SO2. Extrusion of a lava dome, increasing emission of a dense but low ash plume, and increasing seismic-energy release, including significant episodes of volcanic tremor, marked the interval between the first appearance of the dome on June 7 and the first large vertical eruption on June 12. A series of 4 brief vertical eruptions and a profound buildup of long-period earthquakes occurred between the morning of June 12 and early afternoon of June 14. Growth of the dome may have continued through at least part of this interval. A series of 13 pyroclastic-surge-producing eruptions occurred within the next 24 h. These became progressively more frequent, and seismic-energy release increased as the system evolved toward the climactic eruption. An explosion at 1342 June 15 marked the beginning of the climactic eruption, which lasted approximately 9 hours and included collapse of the volcano's summit to form a 2.5-km-diameter caldera. Gradually diminishing but continuous emission of tephra from vents in the summit caldera persisted for about another month, and small intermittent ash eruptions occurred through early September. An intense swarm of volcano-tectonic earthquakes that began during the climactic eruption steadily diminished as events decreased in both number and magnitude. A lava dome was extruded within the caldera from July to October 1992. Many observations at Mount Pinatubo before March 1991 are, in retrospect, consistent with the presence of an active magmatic system beneath the volcano. Although no historic eruptive activity was known before the 1991 events, some Aeta--the indigenous people who lived on the mountain's flanks--had reported minor explosions (Newhall and others, this volume). Hot geothermal fluids were known to be present (Delfin, 1983; 1984), and following the 1991 eruptions, a magmatic-fluid component was identified in water samples obtained before 1991 from fumaroles and drill holes (Delfin and others, 1992). Ground fracturing and steam emission related to a landslide high on the upper northwest flank of Mount Pinatubo occurred on August 3, 1990 (Isada and Ramos, 1990; Sabit and others, this volume), 2 to 3 weeks after the occurrence of a major earthquake (magnitude 7.8) about 100 km to the northeast. Hindsight suggests that these events may have been manifestations of a magmatic or hydrothermal disturbance that marked the reawakening of the Pinatubo magmatic system. Before April 2, 1991, however, none of these phenomena caused volcanologists to suspect that an eruption might occur in the near future. Citizens of small communities on the lower northwest flank of Mount Pinatubo felt earthquakes beginning on March 15, 1991 (Sabit and others, this volume). Then, during the afternoon of April 2, 1991, a series of small explosions issued from a 1.5-km-long line of vents along a northeast-trending fissure on the upper north flank of the volcano (figs. 5 and 6). The explosions, which occurred over a period of several hours, stripped the vegetation from several square kilometers, deposited a meter or more of poorly sorted rock debris near the craters, and dusted villages 10 km to the west-southwest with ash. Vegetation was not charred, blocks near the vents were heterolithologic, and some were hydrothermally altered; together these observations suggest that the April 2 explosions were hydrothermal rather than magmatic in origin. Felt earthquakes and sulfur odors continued after the explosions, and a line of active steam vents extended across the volcano's upper north flank west-southwest of the fissure and explosion pits (Sabit and others, this volume). Activity soon concentrated at three main fumaroles in narrow canyons at the heads of the Maraunot and O'Donnell River valleys (figs. 6 and 7). Light ash emission occurred intermittently through early June. Figure 6. Major volcanic and hydrothermal features formed in the Mount Pinatubo summit region from April 2 through June 15, 1991. Preeruption topography modified from Mount Pinatubo 15-minute quadrangle (U.S. Defense Mapping Agency, Sheet 7073 II, Series S701, Edition 2-DMA). Contour interval is 100 m.
Concerned about the implications of the April 2 explosions and the ensuing felt earthquakes and sulfur odors, scientists from PHIVOLCS began to install portable seismographs near the northwest foot of Mount Pinatubo on April 5. The more than 200 small, high-frequency earthquakes recorded during the first 24 h of seismic monitoring led PHIVOLCS to recommend precautionary evacuation of areas within a 10-km-radius of the summit; approximately 5,000 residents evacuated. Through April and May, this network recorded between 30 and 180 high-frequency earthquakes per day (Sabit and others, this volume). In late April, PHIVOLCS was joined by a group from the USGS, and the joint team installed a network of seven seismometers with radiotelemetry to an apartment at Clark Air Base. The apartment served as the initial home for the Pinatubo Volcano Observatory (PVO). Seismic data from the new network was gathered and processed at PVO on a DOS-based computer system (Lee, 1989). An electronic tiltmeter with radiotelemetry to PVO was also installed on the upper east flank of the volcano in late May. Concurrently with installation of the telemetered seismic network, the PVO team undertook a rapid geologic reconnaissance to determine the style and magnitude of past eruptions as the basis for a volcano-hazard map (fig. 6 of Punongbayan and others, this volume). 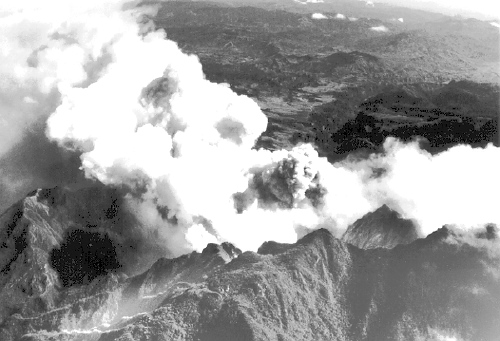 This reconnaissance showed that terrain as far as about 20 km from the summit of Mount Pinatubo had been repeatedly engulfed by voluminous pyroclastic flows in the recent geologic past. Lahar deposits, probably composed of debris eroded from pyroclastic-flow deposits, extended down all major drainages well beyond the pyroclastic-flow deposits. Volcanic debris transported by lahars had probably inundated large parts of the low-gradient alluvial fans that originate at Mount Pinatubo. Hasty 14C analyses of charcoal collected from pyroclastic-flow deposits during the reconnaissance yielded preliminary new emplacement ages. 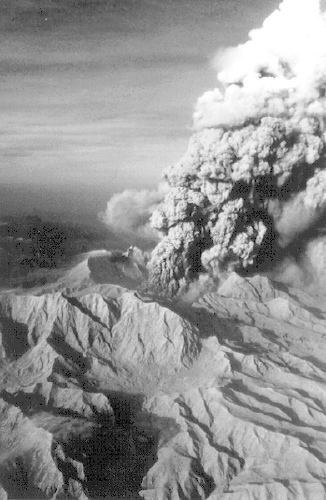 The new ages, when combined with three previous ages (Ebasco Services, Inc., 1977), provided an important insight into Pinatubo's behavior through time: large explosive eruptions separated by repose periods lasting millennia. The three most recent major eruptions occurred approximately 500, 3,000, and 5,500 calendar years ago. Subsequent work has refined the record (Newhall and others, this volume), but the general pattern remains the same: episodes of voluminous explosive eruptions separated by centuries to millennia of repose. The PVO team used the hazard map and analysis of the volcano's unrest to acquaint civil-defense officials and military commanders with the potential eruptive hazards: extensive voluminous pyroclastic flows, tephra falls, and lahars that could extend far beyond the reach of the pyroclastic flows. A preliminary version of a videotape illustrating volcano hazards, produced by filmmaker-volcanologist Maurice Krafft, enormously helped the team explain hazards foreign to people in an area lacking historic eruptions. Communication of information about Pinatubo's evolving state of unrest was simplified by a system of hazard-alert levels (fig. 4 of Punongbayan and others, this volume). Numerous small, high-frequency earthquakes continued through May. They were generally too small to be felt, except locally. Magnitudes were less than 2.5 for all 1,800 located earthquakes between May 7 and June 1. These earthquakes were strongly clustered in a zone between 2 and 6 km deep, located about 5 km north-northwest of the volcano's summit (see fig. 5 in Harlow and others, this volume); relatively few scattered earthquakes occurred beneath the summit or the nearby area of vigorous fumaroles. The location of the earthquake cluster northwest of the area of active fumaroles was puzzling. Photogeologic interpretation indicated coincidence of the earthquake cluster with a zone of young faults. Initially it was unclear whether the cluster was recording localized adjustments of the crust to stresses generated by movement, growth, or pressurization of a magma body or whether the cluster was recording tectonic activity unrelated to volcanic processes. However, the increasing rate of SO2 emission soon strongly supported the former hypothesis. Measurements of the rate of emission of SO2 from the fumaroles near the volcano summit provided compelling evidence for the presence of fresh magma beneath the volcano. Successive airborne measurements showed that the SO2 flux increased from about 500 t/d when the first measurement was made on May 13 to more than 5,000 t/d on May 28 (Daag, Tubianosa, and others, this volume). In combination with the sustained seismicity, these data suggested at the time that magma beneath Pinatubo had risen to a level sufficiently shallow to permit substantial degassing of its dissolved volatile components. Subsequent volcanic-gas emission studies related to the 1992 eruption at Mount Spurr, Alaska (Doukas and Gerlach, in press) showed that hydrolysis of SO2 in ground water masks emission of magmatic SO2. This conclusion, combined with the observed vigor of the fumaroles formed in early April, suggests that the increasing rate of SO2 emission during May at Mount Pinatubo reflected progressive evaporation of the volcano's hydrothermal system. Low permeability of Pinatubo's hydrothermal system (Delfin and others, 1992) may have inhibited its capacity to recharge boiled-off water fast enough to prevent or greatly diminish preeruption SO2 emissions (Doukas and Gerlach, in press). About June 1, a second cluster of earthquakes began to develop between the surface and a depth of 5 km, in the vicinity of the fuming vents, approximately 1 km northwest of the summit (see fig. 7 in Harlow and others, this volume). These earthquakes apparently recorded fracturing of rock as rising magma began to force open a conduit between the magma reservoir beneath the volcano and the surface. At the same time, the SO2 emission rate was declining from the peak measured on May 28; the rate was about 1,800 t/d on May 30, 1,300 t/d on June 3, and 260 t/d on June 5 (Daag, Tubianosa, and others, this volume). The latter flux was about one-twentieth of the earlier (May 28) maximum. The reduction in SO2 flux raised concern that the passages through which gas escaped to the surface might have become sealed, perhaps by the degassed tip of an ascending column of magma, and that rapidly increasing pressurization and an imminent explosive eruption might ensue. A small explosion at 1939 on June 3 (Ewert and others, this volume; Harlow and others, this volume) initiated an episode of increasing volcanic unrest characterized by intermittent minor emission of ash, increasing seismicity beneath the vents, episodes of harmonic tremor, and gradually increasing outward tilt at a tiltmeter high on the volcano's east flank. In response to the growing restlessness of Mount Pinatubo, PHIVOLCS issued a level-3 alert on June 5, which indicated the possibility of a major pyroclastic eruption within 2 weeks. The electronic tiltmeter on Mount Pinatubo's upper east flank began to show accelerated outward tilt at about noon on June 6 (Ewert and others, this volume). Seismicity, as well as the outward tilt, continued to increase until late afternoon on June 7, when apparently increased emission generated a column of steam and ash 7 to 8 km high. Shortly thereafter, seismicity decreased, and the increase in outward tilt stopped. PHIVOLCS promptly announced a level-4 alert (eruption possible within 24 h) and recommended additional evacuations from the volcano's flanks. Such outward tilt and increased shallow seismicity suggested that a shallow conduit was developing for delivery of magma to the surface. This was confirmed the following morning when observers identified a small (50- to 100-m-diameter) lava dome northwest of the summit in the upper part of the Maraunot River canyon (fig. 6). The emission of a persistent, low, roiling ash cloud from the vicinity of the dome began at this time (fig. 8). Initially the dome lay on the lower part of the northeast canyon wall and nearby part of the adjacent valley floor. Repeated aerial observations--generally under conditions of extremely poor visibility that were due to venting steam and tephra--indicated that the dome continued to grow at least until June 11. The southeastern sector of the dome was destroyed by the vertical eruptions of June 12-14. Despite the destruction, the dome margin continued to expand westward. When last seen, at about noon on June 14 (fig. 9), the dome was relatively flattopped and spanned the narrow upper Maraunot River valley. The expansion may have been due to continued extrusion or to postextrusion flowage as dome lava moved downhill under the influence of gravity. Figure 9. 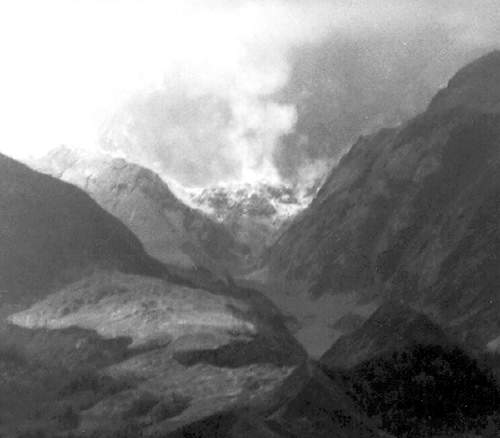 Lava dome spanning the narrow upper Maraunot River canyon about 900 m northwest of the summit of Mount Pinatubo. View is southeastward. (Photograph by R.P. Hoblitt, approximately noon, June 14, 1991). A pyroclastic-flow deposit emplaced in the upper Maraunot valley on late on June 12 or on June 13 contains abundant blocks, some of them prismatically jointed. These blocks, which were sampled after the 1991 eruptions, are believed to represent the lava dome (Hoblitt, Wolfe, and others, this volume). They consist of hybrid andesite with undercooled and quenched basalt inclusions. Major- and trace-element data strongly support genesis of the andesite by mixing of basaltic magma, represented by the inclusions, with dacitic magma, represented by juvenile pumice of the climactic eruption (Pallister and others, 1992; Pallister and others, this volume). The period from June 8 through early June 12 was marked by increasing ash emission, swarms of shallow earthquakes largely beneath the dome, and episodic harmonic tremor. The east wind carried the ash plume westward. At times, dilute ashy density currents flowed down the upper Maraunot valley. Seen from the distance, these ashy density currents resembled the ash clouds associated with pyroclastic flows, but they neither coincided with distinct seismic explosion signals nor left recognizable flowage deposits marking their tracks. Concern raised by both the escalating degree of volcanic unrest and observation of these ashy density currents led PHIVOLCS to raise the alert level to 5 (eruption in progress) on June 9. The radius of evacuation was extended to 20 km, and the number of evacuees increased to about 25,000. On June 10, about 14,500 U.S. military personnel and their dependents evacuated Clark Air Base. They traveled by motorcade to Subic Bay Naval Station, from which most eventually returned to the United States. All remaining military aircraft except for three helicopters also left Clark that day. About 1,500 U.S. and a comparable of number of Philippine military personnel remained behind to provide security and base maintenance. The PVO team of volcanologists also remained on the base. For an increased margin of safety, PVO moved its operations to a building near the east end of Clark Air Base, about 25 km from the volcano's summit, and continued round-the-clock monitoring there. A burst of intense seismic tremor began at 0310 on June 12. High-amplitude tremor persisted for about 40 min, after which the amplitude gradually waned, returning to background level more than 2 h after it began. A small eruption signal with an onset time of 03412 was embedded in this tremor episode. Although no tephra fall was reported, the tremor burst probably coincided with an episode of increased ash emission. Daylight the next morning showed the plume of steam and ash rising about 3 km above the volcano, higher than during the previous few days, and aerial observations showed that small pyroclastic flows had coursed down the uppermost Maraunot and O'Donnell drainages and spawned small hot lahars. 2 Times of explosive eruptions were determined from seismic-drum records, which recorded uncorrected local time. The first major explosive eruption began at 0851 on June 12, generating a column of ash and steam (see fig. 1A of Hoblitt, Wolfe, and others, this volume) that rose to at least 19 km, according to the weather-radar operators at Subic Bay Naval Station and Clark Air Base. At the onset, seismicity increased within a few seconds from low-amplitude tremor to a high-amplitude signal that saturated the records of all the seismic stations. The high-amplitude seismic signal and the rise of the eruptive column seemed to begin simultaneously. Interpretation of seismic records indicated that this event lasted about 38 min, although field observations suggest a duration of at least an hour (Hoblitt, Wolfe, and others, this volume). Beginning with the 0851 eruption, all seismic-station signals except from the station most distant from the volcano summit, at Clark Air Base, showed continuous seismic events and tremor until they were destroyed or their signal was otherwise lost. Ash from the 0851 eruption was transported southwestward past communities north of Subic Bay, and a small pyroclastic flow traveled northwest from the vent in the headwaters of the Maraunot River. Six hundred of the remaining 1,500 U.S. military personnel at Clark Air Base were evacuated. The general evacuation radius was extended to 30 km, and the total number of evacuees increased to at least 58,000. This was the first and longest of four vertical eruptions (fig. 10) from a vent on the southeast margin of the lava dome. The other three--at 2252 on June 12, 0841 on June 13, and 1309 on June 14--were progressively shorter, with durations of 14, 5, and 2 min, respectively. Weather conditions were good during the period of vertical eruptions, and all three that occurred during daylight hours were visible from PVO (fig. 1 of Hoblitt, Wolfe, and others, this volume). Good visibility for these early eruptions was really fortunate because it provided an opportunity for the PVO volcanologists and the military weather-radar observers to correlate unmistakable eruptions with their seismic and radar signatures. We quickly developed a routine that proved indispensable during periods of poor visibility: PVO volcanologists recognized an incoming explosion signal on the seismographs and contacted the radar observers for confirmation and tracking of eruption-column development. Figure 10. Chronology of explosive eruptions of June 12-15, 1991, determined from visual observations, weather-radar observations, seismic signatures, and, on June 15, data from a recording barograph in the Clark weather station. Events of June 15 are shown in the lower diagram with an expanded time axis. Vertical spikes correspond to individual brief explosions, each of which produced a tephra plume. Time given with each spike is the time of the explosion onset determined from seismic-drum records. Solid spikes record explosions for which weather-radar observers provided realtime tephra-column heights (given in parentheses). Upper limit of radar observations was 19 km at Cubi Point Naval Air Station and 24 km at Clark Air Base. Dashed spikes record explosions for which we received no realtime radar measurements of plume height. Shading portrays known continuous tephra emission. Ground-based observers to the west, at Poonbato, reported seeing pyroclastic flows during each of the three daytime eruptions (Sabit and others, this volume), and low tephra plumes were seen over the vent in the hours following the 0851 June 12 eruption and the June 13 eruption. Explosion plumes seen from the air along the upper 5 km of the Maraunot River valley after the 0851 June 12 eruption provided indirect evidence of new pyroclastic-flow deposits, but poor visibility prevented direct observation of the deposits themselves. Another observation flight shortly before the 1309 June 14 eruption documented new pyroclastic-flow deposits in the upper Maraunot valley. Later ground-based observations about 3.5 km downstream from the position of the 1991 dome showed deposits of only two pyroclastic flows beneath the June 15 deposits in the Maraunot valley (Hoblitt, Wolfe, and others, this volume). Northeasterly winds prevailed during the vertical eruptions. Consequently, tephra falls extended southwestward across Subic Bay Naval Station and nearby communities to the north. 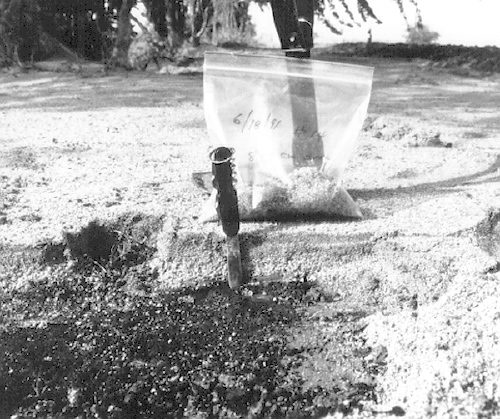 No tephra fell on Clark Air Base during this period. Unlike the initial eruption at 0851 on June 12, the eruptions at 2252 on June 12 and 0841 on June 13 were preceded by 2- to 4-h swarms of long-period earthquakes (Harlow and others, this volume), which enabled the PVO team to issue explicit advance warnings. The resumption of frequent long-period earthquakes during the evening of June 13 suggested that another eruption might be imminent, and another eruption warning was given. None occurred as expected, however, as the pattern was changing to one in which long-period earthquakes continued hour after hour. In the early morning of June 14, clear weather gave a good view of Mount Pinatubo. In spite of the intensifying swarm (fig. 11; fig. 10B of Harlow and others, this volume) of long-period earthquakes, no visible ash and very little fume were being emitted. After 28 h with no major explosive activity, this long-period swarm culminated at 1309 (see fig. 2A of Hoblitt, Wolfe, and others, this volume) in the fourth large vertical eruption. Figure 11. RSAM (realtime seismic-amplitude measurement; Endo and Murray, 1991) data for period of June 12-22, 1991. Vertical axis shows digital counts representing time-averaged voltage from the output of the seismic-data acquisition system. Plot shows individual explosions (compare with fig. 10) and, especially on June 14, increasing seismic-energy release related to increasing size and number of long-period earthquakes. There are no data for late June 15 and early June 16. Exponentially decreasing seismicity on and after June 16 reflects diminishing number and size of earthquakes recording structural adjustment of the volcano and the rock beneath it. Andesite scoria, similar in composition to the andesite of the dome (Pallister and others, this volume) is the dominant component in tephra-fall deposits from the vertical eruptions. Dacite, similar to that of the climactic eruption, was a lesser component; its abundance increased from just a few volume percent in the deposits of the 0851 June 12 eruption to approximately 35 volume percent in the tephra of the June 13 eruption (Hoblitt, Wolfe, and others, this volume). More gas-rich andesitic magma ascending behind the degassed tip that formed the dome vesiculated to drive the initial vertical eruptions that began on June 12. Transient pressure relief in the conduit from each brief preclimactic eruption led to additional vesiculation of magma and progressive replacement of the limited volume of andesitic magma in the conduit by dacitic magma, as reflected in the progressive decrease of andesitic pyroclasts and complementary increase of dacitic pyroclasts in the deposits of the vertical and surge-producing eruptions. A sequence of 13 explosive eruptions began shortly after the 1309 eruption on June 14 and continued for nearly 24 h. These became more closely spaced as time progressed (fig. 10), and, as discussed below, apparently reflected pyroclastic-surge production. Deteriorating weather conditions related to the approach of Typhoon Yunya obscured the view of Mount Pinatubo from Clark Air Base so that only one of these events (at 0555 June 15) was seen directly from Clark. Several were seen, however, by observers to the northwest at Poonbato and to the north at Camp O'Donnell. In addition, two night eruptions (2320 on June 14 and 0115 on June 15) were recorded by an infrared-imaging device at Clark Air Base. All views were of large pyroclastic density currents sweeping the volcano's flanks. The first indication of a change in style to surge-producing eruptions was an observation from the north at about 1410 on June 14 of small explosions or low fountaining that sent density currents down at least the Maraunot and O'Donnell drainages. A larger eruption at 1516, seen only from the northwest, produced a large pyroclastic density current that swept northwestward about 15 km. Observation of a hot lahar in the Sacobia River valley in the late afternoon suggests that a pyroclastic density current also entered this drainage. Three main lines of evidence, largely evaluated in hindsight, suggest the changed nature of the eruptions between the last primarily vertical eruption at 1309 on June 14 and the onset of the climactic eruption at 1342 on June 15. First, limited visual observations and infrared images were of ground-hugging pyroclastic density currents sweeping down the volcano's flanks. Second, recording barographs at Clark Air Base (fig. 2B of Hoblitt, Wolfe, and others, this volume) and Cubi Point recorded an abrupt atmospheric compression coincident with each major explosion from approximately 1516 on June 14 through 1315 on June 15 and a subsequent more protracted rarefaction; the four vertical eruptions did not produce similar atmospheric responses. Hoblitt, Wolfe, and others (this volume) speculate that the rapid atmospheric compression recorded initial collapse of the eruptive column near the onset of each of the 13 large explosive eruptions. Third, later field observations showed a sequence of multiple pyroclastic-surge deposits emplaced after the initial vertical eruptions and before the climactic eruption (Hoblitt, Wolfe, and others, this volume). None of the surge-producing eruptions was directly visible to the PVO team at Clark Air Base before the 0555 eruption on June 15, and much of the evidence for the change on June 14 to surge production was not yet in hand. Limited visibility at dawn on June 15 enabled PVO and Clark Air Base observers to see the pyroclastic density currents of the 0555 eruption (fig. 3 of Hoblitt, Wolfe, and others, this volume). The relatively low ash fountaining (radar operators reported a maximum height of 12 km)3 and the voluminous density-current production were in marked contrast to the high vertical tephra columns seen earlier (last previous eruption cloud seen from Clark was the vertical column of 1309 on June 14). This apparent change in eruptive style suggested that a climactic eruption, perhaps accompanied by massive pyroclastic density currents, might be imminent. Consequently, the remaining U.S. Air Force personnel and the PVO volcanologists evacuated Clark Air Base. Second thoughts led the PVO staff and a small Air Force contingent to return later that morning, but the brief evacuation caused a 3-h gap in seismic recording. 3 Lynch and Stephens (this volume) report stratospheric eruptive plumes that persisted much longer than the eruptive events that generated them and in some cases reached much greater altitudes than indicated by the radar observations. For example, the satellite data show a plume at about 70,000 ft (21 km) for 1.5 h following the 0555 eruption. Seismic records show that this event was brief (3-5 min), and Clark Air Base weather-radar observers reported only a 40,000-ft (12-km) plume height at the time. We suspect that the satellite images record fine ash carried into the stratosphere by convection from denser eruptive columns "seen" by the radar or from hot ash clouds rising from pyroclastic density currents and that a tephra cloud maintains its identity in the stratosphere long after its parent eruption has ended. Through June 14, winds blew virtually all of the ash west to southwest from Mount Pinatubo, causing ash fall in westernmost Luzon and over the South China Sea. However, wind patterns changed early on June 15, probably in response to the approaching typhoon. The view of the 0555 eruption cloud was quickly obscured by ash and rain that fell on Clark Air Base and over central Luzon throughout the day. Repeated explosions through midday were each followed 30 to 40 min later by total darkness at PVO, as winds blew ash eastward over Clark. The abundance of dacite exceeds that of andesite in the pyroclastic-surge deposits, and the dominance of dacite increases upward; the stratigraphically highest surge deposits contain little or no andesite. As in the tephra-fall deposits from the vertical eruptions, fragments of these surge deposits have a broad range of density and a large proportion of dense clasts that represent relatively degassed magma (Hoblitt, Wolfe, and others, this volume). Eruptions became progressively less vigorous and more closely spaced through the sequence of vertical and surge-producing eruptions, probably in response to increasing efficiency of the conduit system that delivered magma to the surface (Hoblitt, Wolfe, and others, this volume). By early afternoon of June 15 the supply rate had increased sufficiently to sustain the climactic eruption. An eruption at 1342 on June 15 initiated continuous high-amplitude tremor that saturated all operative seismic stations on Mount Pinatubo and, as we learned later, also initiated approximately 9 h of intense atmospheric-pressure variation (see barograph record, fig. 2B of Hoblitt, Wolfe, and others, this volume). By 1430, all seismometers but the one at Clark Air Base were inoperative (most were victims of pyroclastic density currents), and ash with pumice fragments as large as 4 cm in diameter was falling at PVO. The climactic eruption was clearly under way. Virtually blind as a result of destruction of the seismic net and near-zero visibility, the PVO staff and the few remaining Air Force personnel left Clark Air Base at about 1500 to join the remainder of the Clark Air Base evacuees at the Pampanga Agricultural College, about 38 km east of the summit of Mount Pinatubo on the western slopes of another volcanic cone, Mount Arayat. There the evacuees observed continuing ash fall and felt numerous earthquakes during the evening--small ones every minute or so, and large ones 10 to 15 min apart. The large earthquakes (Mb 4.3-5.7) were part of a series that began at 1539; the National Earthquake Information Center reported 29 events with Mb> or = 4.5 over the first 6 h (Mori, White, and others, this volume). At the time, the volcanologists speculated that the numerous felt earthquakes might record caldera formation. Indeed, subsequent views of the volcano showed that the original summit of the volcano was gone, and in its place was a new 2.5-km-diameter caldera (figs. 6, 12), the center of which is offset about 1 km northwestward from the preeruption summit. However, later analysis (B.C. Bautista and others, this volume) suggests that the largest earthquakes recorded crustal adjustments that occurred as strike-slip displacements on regional faults rather than caldera subsidence. Satellite images showed that the climactic eruption cloud rose high into the stratosphere and expanded widely, umbrella-like. At 1540, it was 400 km in diameter, and shadow measurements against the surrounding white clouds indicate that its altitude was about 25 km at its eastern edge and 34 km at its center (Koyaguchi and Tokuno, 1993). The Seismic Spectral Amplitude Measurement (SSAM) data (fig. 11 of Power and others, this volume) show a well-defined shift of the dominant seismic spectral peak from the 0.5- to 1.5-Hz band to the 1.5- to 3.5-Hz band approximately 3 h into the climactic eruption (at about 1630). Concurrently, the magnitude of the continuous, local, rapid atmospheric-pressure variation decreased (fig. 2B of Hoblitt, Wolfe, and others, this volume). Distant infrasonic stations also recorded approximately 3 h of intense activity correlative with the first 3 h of the climactic eruption, after which the infrasonic signal decreased in amplitude (see fig. 6 of Tahira and others, this volume). The SSAM, barograph, and distant infrasonic data suggest collectively that the climactic phase was in full force for about 3 h and then began to wane. Structural adjustment of the volcano and the subjacent upper-crustal rocks to massive withdrawal of magma began after 2 h (1539) and accelerated an hour later (approximately 1630), as volcano-tectonic seismicity increased and long-period seismicity related to explosive volcanism declined. Unfortunately, our sole remaining seismometer failed for nearly 4 h beginning at about 2100 (fig 2A of Hoblitt, Wolfe, and others, this volume). However, the barograph record indicates that the rapid atmospheric-pressure fluctuations diminished to background level at about 2230. We interpret that time as the end of the climactic eruption. We have no explicit evidence of the beginning and duration of caldera subsidence. It seems most likely that caldera formation occurred during the interval from 1630, when volcano-tectonic seismicity increased, to the end of the climactic eruption at 2230. Typhoon Yunya made landfall at 0800 June 15 and decreased in intensity to Tropical Storm Yunya, which passed about 75 km northeast of Mount Pinatubo during the early vigorous hours of the climactic eruption (Oswalt and others, this volume). 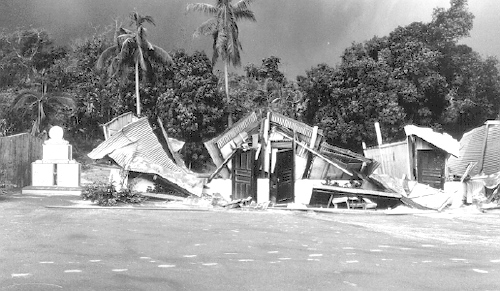 Owing at least in part to the atypical lower- and mid-level wind regime spawned by the passing storm, tephra was widely distributed in all directions around the erupting volcano. (Recall that prevailing winds had distributed essentially all earlier airborne tephra to the southwest.) In addition, heavy rainfall accompanied the storm. As a result, a heavy, rain-saturated, snowlike blanket (fig.13) of tephra a centimeter or more thick fell over about 7,500 km2 of central and western Luzon, and almost all of the island received at least a trace (Paladio-Melosantos and others, this volume). The blanket has a remarkably consistent internal stratigraphy (fig. 14)--a thin, relatively fine, gray ash deposit overlain by a coarser, plinian pumice-fall deposit with conspicuous normal grading. The basal gray ash accumulated during the morning of June 15, and the overlying pumice-fall unit began accumulating during the afternoon, when pumice fragments were falling at PVO. The greatest measured thickness of the June 15 tephra-fall deposits was 33 cm, at a locality 10.5 km southwest of the vent, and deposits 10 or more centimeters thick blanketed a densely settled area of about 2,000 km2 (Paladio-Melosantos and others, this volume). The greatest bulk accumulated west to west-southwest of the volcano's summit (see fig. 7 of Paladio-Melosantos and others, this volume). Paladio-Melosantos and others (this volume) estimate that the on-land bulk volume of tephra from the climactic eruption within the 1-cm isopach is about 0.7 km3. Even more fell into the South China Sea; indeed, tephra dusted parts of Indochina, more than 1,200 km away. The total bulk volume of tephra-fall deposits is estimated at 3.4 to 4.4 km3 (Paladio-Melosantos and others, this volume). The weight of the rain-saturated tephra, no doubt with assistance from repeated intense seismic shaking and buffeting by wind, caused numerous roofs to collapse in the Philippine communities around the volcano and on the two large U.S. military bases (figs. 15, 16). Between 200 and 300 people died during the eruption, most of them from collapsing roofs. Without Tropical Storm Yunya, the death toll would no doubt have been far less. Voluminous pyroclastic flows were emplaced during the climactic eruption. They extended as far as 12 to 16 km from the vent down all sectors of the volcano and impacted an area of approximately 400 km2 (fig. 1 of W.E. Scott and others, this volume), stripping vegetation and dramatically modifying the preexisting topography. Their passage is recorded by a variety of pumiceous pyroclastic-flow deposits: massive deposits that filled preexisting valleys to depths locally as much as 200 m (fig. 2 of W.E. Scott and others, this volume); thinner, stratified deposits that veneer uplands and grade laterally into the massive valley-fill deposits; and ash-cloud deposits in distal areas that are interbedded with and adjacent to the massive deposits. Deposits of an additional lithic-rich facies cap the massive pumiceous deposits in the upper parts of several major drainages. Estimated bulk volume of the whole sequence is 5 to 6 km3 (W.E. Scott and others, this volume). W.E. Scott and others (this volume) review stratigraphic relations that indicate that the plinian pumice fall and the production of pyroclastic flows during the climactic eruption were at least partly concurrent, as is shown by interlayering of distal, thin pyroclastic-flow and ash-cloud deposits with the upper graded part of the plinian pumice-fall deposit. Possibly the plinian fall began first, but the two processes occurred simultaneously for at least part of the climactic eruption, and the evidence suggests that the massive valley-filling flow deposits accumulated incrementally from numerous successive flow pulses. A coarse, clast-supported, lithic-rich facies that overlies pumiceous pyroclastic-flow deposits in the upper parts of several major drainages (fig. 1 of W.E. Scott and others, this volume) contains angular to subangular clasts, tens of centimeters to 1 m long, fragments of Mount Pinatubo's old summit. W.E. Scott and others (this volume) conclude that the lithic-rich facies formed during caldera collapse and that once collapse began, pyroclastic-flow production waned and the intense phase of the eruption ended. A supporting observation is that there is very little pumice to be found within the caldera (C.G. Newhall, written commun., June 18, 1993), although ash erupted within the caldera after the climactic eruption may have concealed deposits of climactic-eruption pumice. The dominant juvenile component of the climactic eruption is white, phenocryst-rich pumice derived from magma that was nearly 50 volume percent crystalline. Phenocryst-poor tan pumice, identical in bulk composition to the phenocryst-rich pumice, is a subordinate component (about 10-20 volume percent, David and others, this volume). The phenocryst-poor pumice apparently originated primarily by mechanical fragmentation of phenocrysts during ascent through the conduit system in the climactic eruption (Pallister and others, this volume). 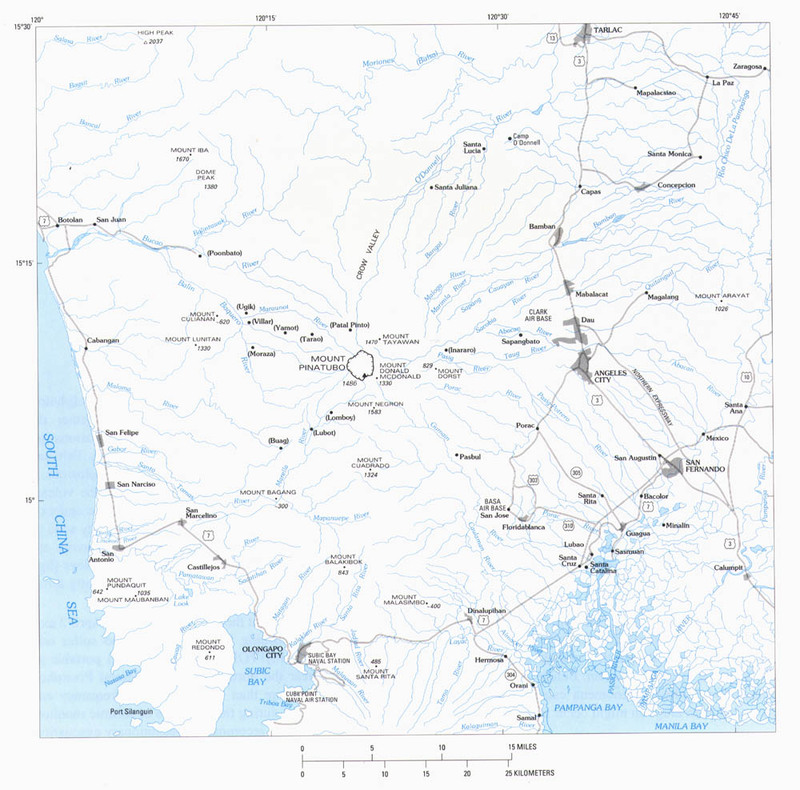 Rain produced by Tropical Storm Yunya generated lahars on June 15 in all major drainages around the volcano (Major and others, this volume; Rodolfo and others, this volume; Pierson and others, 1992). Major and others point out that the rainfall alone was insufficient to generate lahars; the additional necessary condition was altered watershed hydrology from fresh mantling pyroclastic deposits. The preclimactic and climactic eruptions satisfied this second condition by depositing a thin mantle of new pyroclastic material over the various watersheds. On the basis of stratigraphic evidence and eyewitness accounts, Major and others found that initiation of lahars on the east side of the volcano on June 15 migrated northward during the day, apparently tracking the northwestward progression of Tropical Storm Yunya. Accordingly, peak flows from the eastern and southeastern sector--along the mountain front from the Gumain River to the Sacobia River--preceded deposition of the plinian pumice-fall deposit. Farther north, from the Sacobia River to the O'Donnell River, peak flow followed the pumice fall. Multiple flows occurred on June 15; thus, along the Sacobia-Bamban drainage as well as drainages farther south, lahars occurred both before and after the plinian pumice fall. The June 15 lahars locally inundated arable land and homes. The most significant damage was caused by lahars along the Abacan River: dwellings upstream from Sapangbato were inundated (fig. 9 of Major and others, this volume); buildings and all bridges in Angeles City were undercut and destroyed by lateral bank erosion (figs. 10 and 12 of Major and others, this volume); and the Northern Expressway bridge downstream from Angeles was buried as the channel aggraded. The large volumes of water responsible for the destruction along the Abacan may have been the consequence of stream capture that occurred before the climactic eruption. Before Pinatubo reawakened, a low divide separated the headwaters of the Abacan drainage from the upper reaches of the Sacobia drainage. Sometime during the night of June 14 or the morning of June 15, water from the Sacobia began to flow across the divide in the Abacan, probably because of aggradation along the Sacobia. 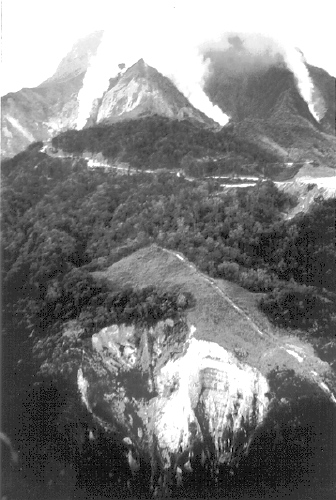 Subsequent pyroclastic flows of the climactic eruption entered the head of the Abacan drainage by the same route (fig. 7 of Major and others, this volume). The PVO team returned to Clark Air Base and reestablished seismic recording on June 16. The one surviving seismometer initially recorded more than 150 tectonic earthquakes per hour larger than magnitude 2.0 (Mori, White, and others, this volume). The rate of seismic-energy release declined exponentially (fig. 11), and by the end of June, earthquake counts were 10 to 20 per hour. The decline continued for months, reflecting the adjustment of the volcano and the Earth's crust beneath it to the dramatic changes of mid-June. Reestablishment of a seismic network sufficient to locate earthquakes required about 2 weeks. Thereafter, earthquake locations largely defined outward-dipping trends enclosing a volume directly beneath the volcano that is relatively free of earthquakes (fig. 1 of Mori, White, and others, this volume) and may represent the reservoir that supplied the magma for the 1991 eruptions (Mori, White, and others, this volume). The climactic eruption apparently left an open vent system, for ash billowed continually (fig. 12) from vents in the caldera for about another month. The resulting plume at times reached an altitude of 18 to 20 km. Winds caused significant fall of very fine powdery ash, especially southwest and northeast of the new summit caldera. Episodic bursts of increased low-frequency seismic tremor, correlated with increased vigor of ash emission, occurred a few times per day during late June and most of July (Mori, White, and others, this volume). During these events, seismic amplitude increased for about 2 to 3 h and then declined to background level. From July 6 to July 11, these bursts of higher-amplitude tremor were periodic, with intervals of 7 to 10 h between events. As monsoon clouds and rain prevented direct observation of the volcano during late July, we know only that continuous ash emission had ceased by August 1; episodic ash emission continued until about September 1. By early September, the monsoon rains had formed a shallow caldera lake. Partial filling of the valleys on Mount Pinatubo by the thick, loose, ash-rich pyroclastic-flow deposits thoroughly disrupted the drainage network that had become established during the 5 centuries since the previous eruption. Runoff from heavy rains began to reestablish drainageways by eroding the new deposits. Thus, beginning in July, the annual monsoon rains repeatedly generated lahars, many of them hot from incorporation of hot pyroclastic-flow material. The lahars progressively buried towns and agricultural land, destroyed homes and bridges, frequently cut roadways, and displaced tens of thousands of residents. 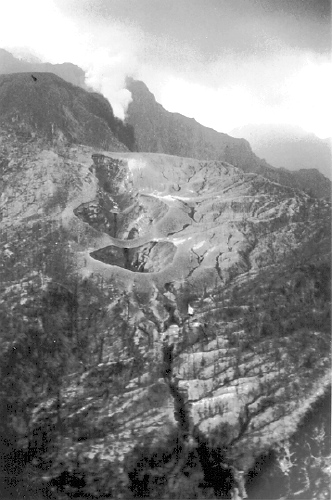 By the end of October 1991 (after the end of the southwest monsoon season), about 0.9 km3 of new lahar deposits had buried 300 km3 of lowland terrain, largely low-gradient alluvial fans formed of pyroclastic debris from previous eruptions of Mount Pinatubo (Pierson and others, this volume; Rodolfo and others, this volume). Rodolfo and others (this volume) estimate that lahars of the 1992 monsoon season delivered between 0.5 and 0.6 km3 of new sediment to the lowlands, which accords with estimates of Pierson and others (1992) that progressively diminishing volumes of sediment are likely to be delivered to the lowland areas surrounding Mount Pinatubo for perhaps a decade. 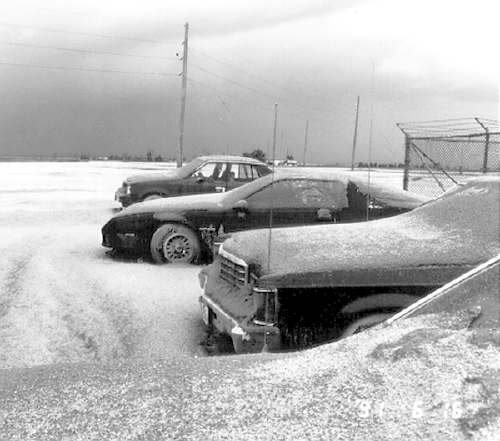 However, the 1991 and 1992 monsoon seasons were unusually mild. Sooner or later a typhoon will approach Mount Pinatubo, very likely triggering larger, more destructive lahars than have occurred so far (Rodolfo and others, this volume). The Mount Pinatubo lahars have caused severe economic and social disruption. The dominant problem is continuing channel aggradation, which promotes lateral migration of the lahars across the low-gradient alluvial fans surrounding the volcano. Despite the resulting progressive burial of villages and valuable agricultural land, loss of life has been minimized by warning systems. Initially, warnings were provided by Philippine police and army personnel stationed at watchpoints along major river channels. Beginning in August 1991, that effort was supplemented by warnings from PVO based on realtime analysis of telemetered data from rain gauges and acoustic flow sensors (Janda and others, this volume; Marcial and others, this volume; Tuñgol and Regalado, this volume). Numerous secondary explosions occurred during the 1991 and 1992 monsoon seasons from the interaction of water with hot pyroclastic-flow deposits. Such explosions generated tephra plumes, some as high as 18 km or more, that produced significant tephra falls and were at times mistaken by the press and some of the local populace as products of primary eruptions. Water gained access to hot pyroclastic-flow deposits by at least two different mechanisms: collapse of stream banks into streams, and invasion of ground water into hot deposits along buried stream channels. Explosions of the latter type commonly formed craters tens to hundreds of meters in diameter. Some generated secondary pyroclastic flows--hot, remobilized pyroclastic-flow deposits that traveled as far as 8 km downvalley and left prominent head scarps at their sources (Torres and others, this volume). 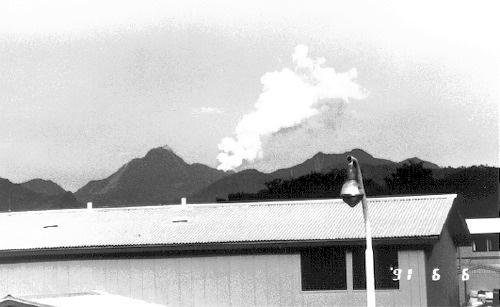 A lava dome formed within the new summit caldera from July through October 1992 (Daag, Dolan, and others, this volume). Its emplacement was heralded by increasing earthquakes and tremor in early July. By July 9, explosions near the center of the caldera lake had built a low pyroclastic cone that was about 70 to 100 m across and extended 5 m above the lake surface. Lava extrusion ensued; by July 14, a lava dome about 5 to 10 m high and 50 to 100 m in diameter had grown within the pyroclastic cone, which had widened to about 150 m. By July 23, the growing dome had completely buried the pyroclastic cone. Dome growth, which continued through October, was largely exogenous, marked by formation of a succession of extrusive lobes and accompanied by intermittent intense swarms of shallow earthquakes. At the end of October, the dome was 350 to 450 m in diameter and about 150 m high; its volume was about 4x103 m3. 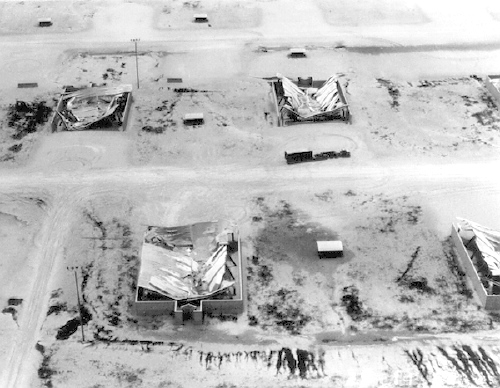 A sharp decrease in seismicity on October 31 marked the apparent end of 1992 dome growth. Like the June 1991 dome, the 1992 dome consists of hybrid andesite indicative of magma mixing. Quenched basaltic andesite inclusions constitute 5 to 10 percent of the 1992 dome. A total bulk volume of 8.4 to 10.4 km3 of eruption deposits is determined from a bulk volume of 5 to 6 km3 of pyroclastic-flow deposits (W.E. Scott and others, this volume) and a bulk volume of 3.4 to 4.4 km3 of tephra-fall deposits (Paladio-Melosantos and others, this volume). Allowing for uncertainty in the bulk density of the deposits, W.E. Scott and others estimate that the pyroclastic-flow and tephra-fall deposits together represent 3.7 to 5.3 km3 of erupted magma (that is, dense-rock equivalent, or DRE). The 1991 eruption of Mount Pinatubo was the world's largest in more than half a century and probably the second largest of the century. Its roughly 5 km3 of erupted magma is an order of magnitude greater than the volume of magma erupted in 1980 from Mount St. Helens but is smaller than the 13+-3 km3 (DRE) of ignimbrite and fall deposits from the 1912 eruption of Novarupta, Alaska (Fierstein and Hildreth, 1992). Volumes of two other large plinian eruptions that occurred early in the 20th century approximate the lower limit of estimated volume for the Mount Pinatubo eruption: the 1902 eruption of Santa María volcano, Guatemala, produced approximately 8 km3 (uncorrected volume, equivalent to 3 to 4 km3 DRE) of fall deposits (Fierstein and Nathenson, 1992), and the 1932 eruption of Volcán Quizapu, Chile, produced approximately 4 km3 (DRE) of fall deposits and minor ignimbrite (Hildreth and Drake, 1992). The climactic eruption injected approximately 17 Mt of SO2 into the atmosphere (Gerlach and others, this volume), generating atmospheric and climatic effects that are likely to persist for several years (Hansen and others, 1992). Gerlach and others (this volume) concluded that virtually all of this SO2 as well as Cl, CO2, and an appreciable volume of water (approximately 96 Mt) had accumulated prior to eruption in a vapor phase in volatile-saturated magma of a crustal reservoir. A large additional volume (about 6.25 wt%) of water was in solution in the melt phase of the magma reservoir. Gerlach and others estimate that, in addition to the measured 17 Mt of SO2, the eruption of approximately 5 km3 of magma was accompanied by release of at least 491 to 921 Mt of H2O, 3 to 16 Mt of Cl, and 42 to 234 Mt of CO2. Petrologic evidence suggests that the dacitic magma of the climactic eruption ascended from a reservoir that was highly crystalline (40 to 50 volume percent), relatively cool (approximately 780°C), volatile-saturated, and at an equilibrium pressure of approximately 200-220 MPa (Rutherford and Devine, this volume; Pallister and others, this volume). Using data from geothermal exploration and drilling (Delfin, 1983; Delfin and others, this volume), Pallister and others (this volume) equate 200 MPa to a depth of about 8 km beneath the pre-1991 summit of Mount Pinatubo (6 to 7 km below sea level). Analysis of seismic results provides additional spatial evidence of the reservoir. Mori, Eberhart-Phillips, and Harlow (this volume) interpret a region of low P-wave velocity at a depth of 6 to 11 km below sea level as a magma reservoir. The low-velocity body is offset southward slightly from the summit of Mount Pinatubo. As appropriate for a body of magma, the inferred reservoir occurs in a nearly aseismic zone within the swarm of earthquake hypocenters that recorded crustal adjustments in the weeks after the climactic eruption (Mori, White, and others, this volume). The estimated volume of the low-velocity body is 40 to 90 km3, and it is part of a still larger low-velocity body that extends as far south as Mount Negron. Mount Pinatubo's repeated eruption of virtually identical, voluminous, dacitic, pumiceous pyroclastic flows during the past 35,000 yr or more suggests that such a large, preexisting, crustal magma reservoir was repeatedly reactivated, most recently to produce the 1991-92 eruptions (Newhall and others, this volume). The 1991 eruptions were apparently triggered by injection of basaltic magma into the dacitic reservoir (Pallister and others, 1992; Pallister and others, this volume), and the earliest erupted products, as well as the lava dome erupted in 1992, consist of hybrid andesite produced by mixing of intruded basalt with the dacitic magma of the reservoir. The occurrence of hybrid andesite, with mineralogic evidence of a basalt component in its parentage, in banded pumice fragments or as lithic clasts in the deposits of earlier eruptions of Mount Pinatubo, suggests that prehistoric eruptions were similarly triggered by intrusion of basalt into the dacitic magma reservoir (Newhall and others, this volume). Basalt that intruded the dacitic reservoir mixed with dacite to produce a hybrid andesitic magma that ascended buoyantly (Pallister and others, this volume). The relatively degassed tip of the ascending andesite breached the surface on June 7, establishing a new eruptive conduit and supplying lava to the dome, which slowly grew during the following days. Delicate disequilibrium textures preserved in samples of the June 1991 dome suggest that ascent and eruption of the hybrid andesite occurred within 4 days of the mixing event that formed it (Rutherford and others, 1993; Pallister and others, this volume). However, the preceding unrest--from mid-March through May--suggests that there was earlier magmatic activity. Possibly earlier intrusion of basalt into the dacitic reservoir produced deep-seated inflation that caused adjustments on faults, one of which intersected the hydrothermal system, or it produced an early hybrid magma that ascended sufficiently to penetrate the hydrothermal system but did not reach the surface. Diminished magma volume in the reservoir caused structural adjustments including collapse of its roof. As indicated by the occurrence of lithic-rich breccia and pyroclastic-flow deposits at or near the top of the pumiceous pyroclastic-flow deposits, formation of the 2.5-km-diameter summit caldera was completed at the end of plinian eruption and production of pyroclastic flows. Two essential conditions for the explosive 1991 eruptions were existence of vapor-saturated magma in the reservoir and intrusion of basalt into the reservoir. Eruption of hybrid andesite to form the 1992 dome implies that basalt intrusion has continued. Volatiles in the reservoir may have been sufficiently depleted by the 1991 eruptions that continued basalt intrusion has not led so far to renewal of explosive dacitic eruption (Daag, Dolan, and others, this volume). The 1991 volcanic unrest and eruptions of Mount Pinatubo caused volcanologists of the Philippine Institute of Volcanology and Seismology (PHIVOLCS), the U.S. Geological Survey (USGS), the University of the Philippines, and the University of Illinois, Chicago, to join in an effective response to extraordinary volcanic threat and devastation. Together, these volcanologists constituted the Pinatubo Volcano Observatory Team, which made the observations on which this overview is based. David, C.P.C., Dulce, R.G., Nolasco-Javier, D.D., Zamoras, L.R., Jumawan, F.T., and Newhall, C.G., this volume, Changing proportions of two pumice types from the June 15, 1991, eruption of Mount Pinatubo. Defant, M.J., Jacques, D., Maury, R.C., De Boer, J., and Joron, J-L., 1989, Geochemistry and tectonic setting of the Luzon arc, Philippines: Geological Society of America Bulletin, v. 101, p. 663-672. Delfin, F.G., Jr., 1983, Geology of the Mt. Pinatubo geothermal prospect: unpublished report, Philippine National Oil Company, 35 p. plus figures. ------1984, Geology and geothermal potential of Mt. Pinatubo: unpublished report, Philippine National Oil Company, 36 p.
Doukas, M.P., and Gerlach, T.M., in press, Airborne gas monitoring of SO2 and CO2 during the 1992 eruption at Crater Peak, Mount Spurr, Alaska, in Keith, T.E.C., ed., The 1992 eruptions of Crater Peak vent, Spurr Volcano, Alaska: U.S. Geological Survey Bulletin. Ebasco Services, Inc., 1977, Philippine Nuclear Power Plant I, Preliminary Safety Analysis Report, v. 7, Section 2.5.H.1., Appendix, A report on geochronological investigations of materials relating to studies for the Philippine Nuclear Power Plant Unit 1: Washington, D.C., Nuclear Regulatory Agency. Endo, E.T., and Murray, T., 1991, Real-time seismic amplitude measurement (RSAM): A volcano monitoring and prediction tool: Bulletin of Volcanology, v. 53, p. 533-545. Ewert, J.W., Lockhart, A.B., Marcial, S., and Ambubuyog, G., this volume, Ground deformation prior to the 1991 eruptions of Mount Pinatubo. Fierstein, J., and Hildreth, W., 1992, The plinian eruptions of 1912 at Novarupta, Katmai National Park, Alaska: Bulletin of Volcanology, v. 54, no. 8, p. 646-684. Fierstein, J., and Nathenson, M., 1992, Another look at the calculation of fallout tephra volumes: Bulletin of Volcanology, v. 54, no. 2, p. 156-167. Hansen, J., Lacis, A., Ruedy, R., and Sato, M., 1992, Potential climate impact of Mount Pinatubo eruptions: Geophysical Research Letters, v. 19, no. 2, p. 215-218. Harlow, D.H., Power, J.A., Laguerta, E.P., Ambubuyog, G., White, R.A., and Hoblitt, R.P., this volume, Precursory seismicity and forecasting of the June 15, 1991, eruption of Mount Pinatubo. Hildreth, W., and Drake, R.E., 1992, Volcán Quizapu, Chilean Andes: Bulletin of Volcanology, v. 54, no. 2, p. 93-125. Janda, R.J., Daag, A.S., Delos Reyes, P.J., Newhall, C.G., Pierson, T.C., Punongbayan, R.S., Rodolfo, K.S., Solidum, R.U., and Umbal, J.V., this volume, Assessment and response to lahar hazard around Mount Pinatubo. Koyaguchi, T., and Tokuno, M., 1993, Origin of the giant eruption cloud of Pinatubo, June 15, 1991: Journal of Volcanology and Geothermal Research, v. 55, nos. 1 and 2, p. 85-96. Lee, W.H.K., ed., 1989, Toolbox for seismic data acquisition, processing, and analysis: International Association of Seismology and Physics of the Earth's Interior in collaboration with Seismological Society of America: El Cerrito, Calif., 283 p.
Major, J.J., Janda, R.J., and Daag, A.S., this volume, Watershed disturbance and lahars on the east side of Mount Pinatubo during the mid-June 1991 eruptions. Marcial, S.S., Melosantos, A.A., Hadley, K.C., LaHusen, R.G., and Marso, J.N., this volume, Instrumental lahar monitoring at Mount Pinatubo. Pinatubo Volcano Observatory Team, 1991, Lessons from a major eruption: Mt. 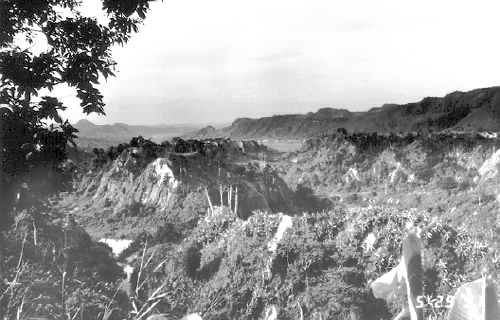 Pinatubo, Philippines: EOS, Transactions of the American Geophysical Union, v. 72, p. 545-555. Punongbayan, R.S., Newhall, C.G., Bautista, M.L.P., Garcia, D., Harlow, D.H., Hoblitt, R.P., Sabit, J.P., and Solidum, R.U., this volume, Eruption hazard assessments and warnings. Rodolfo, K.S., Umbal, J.V., Alonso, R.A., Remotigue, C.T., Paladio-Melosantos, M.L., Salvador, J.H.G., Evangelista, D., and Miller, Y., this volume, Two years of lahars on the western flank of Mount Pinatubo: Initiation, flow processes, deposits, and attendant geomorphic and hydraulic changes. Rutherford, M.J., Baker, Leslie, and Pallister, J.S., 1993, Petrologic constraints on timing of magmatic processes in the 1991 Pinatubo volcanic system [abs. ]: Eos, Transactions of the American Geophysical Union, v. 74, no. 43, p. 671. Tahira, M., Nomura, M., Sawada, Y., and Kamo, K.,this volume, Infrasonic and acoustic-gravity waves generated by the Mount Pinatubo eruption of June 15, 1991. Tuñgol, N.M., and Regalado, M.T.M., this volume, Rainfall, acoustic flow monitor records, and observed lahars of the Sacobia River in 1992. Wolfe, E.W., 1992, The 1991 eruptions of Mount Pinatubo, Philippines: Earthquakes and Volcanoes, v. 23, no. 1, p. 5-37.